December 7, 2015 - Some athletes who experience sports-related concussions have reduced blood flow in parts of their brains even after clinical recovery, according to a study presented today at the annual meeting of the Radiological Society of North America (RSNA). The results suggest a role for MRI in determining when to allow concussed athletes to return to competition. Concussions affect millions of people each year and are especially prevalent in contact sports like football. Sports are second only to motor vehicle crashes as the leading cause of traumatic brain injury among people between 15 and 24 years old, according to the National Institutes of Health. To find out more, researchers from the Medical College of Wisconsin in Milwaukee studied concussed football players with arterial spin labeling, an advanced MRI method that detects blood flow in the brain. 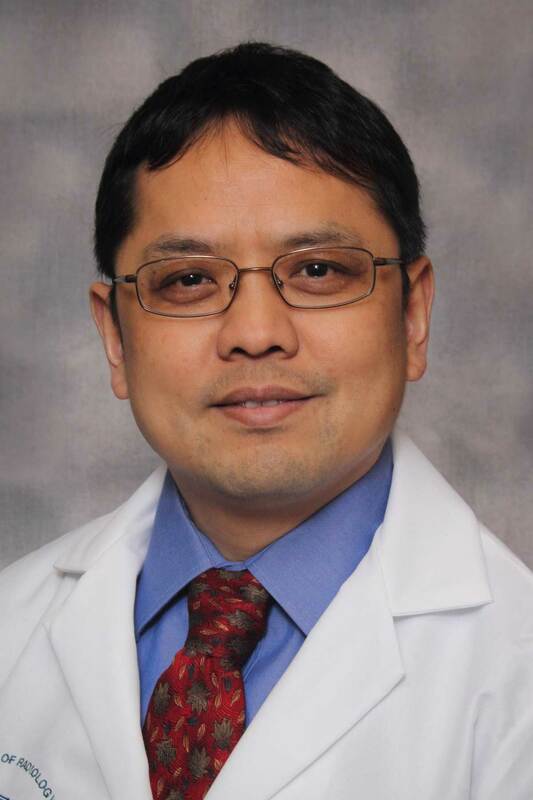 "This measurement of blood flow is fully noninvasive, without radiation exposure," said study author Yang Wang, M.D., Ph.D., associate professor of radiology at the Medical College of Wisconsin. "We use arterial blood water as a contrast tracer to measure blood flow change, which is highly associated with brain function." Dr. Wang and colleagues studied 18 concussed players and 19 non-concussed players. They obtained MRI of the concussed players within 24 hours of the injury and a follow-up MRI eight days after the injury and compared results with those of the non-concussed players. Clinical assessments were obtained for both groups at each time point, as well as at the baseline before the football season. The concussed players demonstrated significant impairment on clinical assessment at 24 hours post-injury, but returned to baseline levels at eight days. In contrast to clinical manifestation, the concussed players demonstrated a significant blood flow decrease at eight days relative to 24 hours post-injury, while the non-concussed players had no change in cerebral blood flow between the two time points. "In eight days, the concussed athletes showed clinical recovery," Dr. Wang said. "However, MRI showed that even those in clinical recovery still had neurophysiological abnormalities. Neurons under such a state of physiologic stress function abnormally and may become more susceptible to second injury." While the reasons for reduced cerebral blood flow in concussed athletes are still under investigation, the findings may have important implications for decisions on when athletes are ready to return to play after head injuries, according to the study's principal investigator, Michael McCrea, Ph.D., professor of neurosurgery and neurology and director of brain injury research the Medical College of Wisconsin. "For years, we've relied on what athletes are telling us," Dr. McCrea said. "We need something more objective, and this technology may provide a greater measurement of recovery." The Medical College of Wisconsin scientists are continuing their research as one of the Phase II winners of the Head Health Challenge, an initiative from the National Football League and General Electric to develop ways to speed diagnosis and improve treatment for concussion. Dr. McCrea and his team are also co-chairing the Concussion Assessment, Research and Education Consortium (CARE) project, a major national effort that will enroll more than 30,000 college athletes, making it the largest study of concussions to date. "The nature of this research allows us to study the mechanisms of injury and recovery directly in humans rather than in animal models," Dr. McCrea said. "Our ultimate aim is to better understand the time course of neurobiological recovery after concussion." Other co-authors on the study are Lindsay D. Nelson, Ph.D., Ashley A. LaRoche, Adam Y. Pfaller, B.S., Andrew S. Nencka, Ph.D., and Kevin M. Koch, Ph.D.